Introducing a new baby to your fur baby can bring up some uncertain feelings. What if they don’t get along? What if your pet gets aggressive or scared or jealous? What if your child does? Doing a little preparation beforehand can go a long way to smoothing this transition. Here are some steps you can take to help. When you have a baby, there is a lot of new stuff to buy and set-up. This will be a significant change for the pet already. If at all possible, try to keep the pet dishes, litter box, and toys where they’ve been. 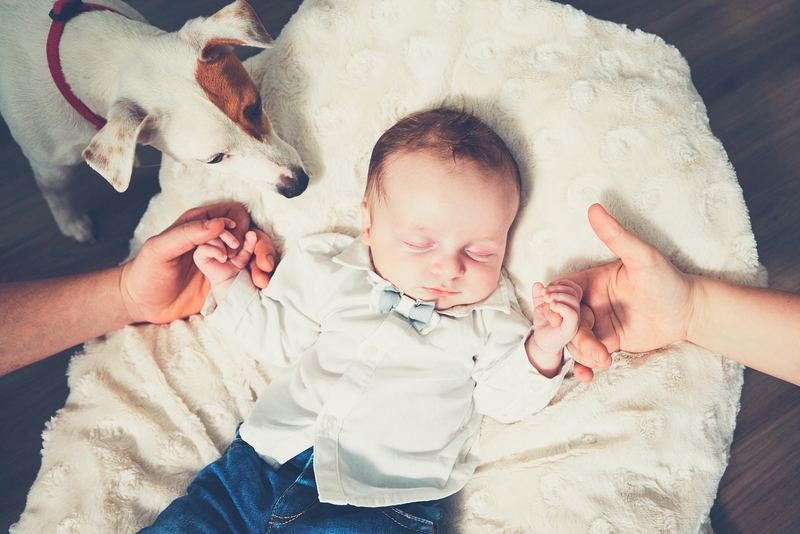 Once the pet is used to the baby, of course, you can move them, but maintaining a little sense of normalcy can ease their nerves and make them less territorial or jealous. If you do need to move them, try to do so well before the baby arrives. The pet will have a harder time with jealousy or a disturbed routine if you give them a ton of affection in the weeks leading up to the child’s arrival. Instead, try to show them about the level of attention they will likely receive when the baby is the center of attention. It may seem cruel to distance yourself in this way, but you’ll be helping them adjust. There are probably going to be some days when you will need someone to watch the dog or cat. This will include not just the delivery date but future doctor’s appointments and other baby-centered activities. Who will be watching your pet? Get this person arranged beforehand and make sure your pet is comfortable with them and with where they will be. You will likely want to keep the dog or cat out of the nursery and other “baby” areas of the home. In the weeks before the arrival of the baby, you can set up any gates to separate the baby and the pets. Also, begin enforcing the rules on where the pet will and will not be able to go. It may seem odd to visual creatures like ourselves, but scent is incredibly important to both dogs and cats. Dogs receive more data on their surroundings through smell than sight. While the mother and child are recovering in the hospital, a blanket or other item with the new child’s scent should be introduced to the pet. This will get them used to this fresh smell being present so they will have less to react to when the baby is brought home. There are also pet trainers who specialize in preparing your dog or cat to the introduction of a new baby. If your pet has an excitable or aggressive temperament around new people, it may be wise to consult one of these specialists. 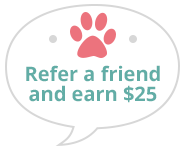 Dogwood Veterinary can help give information on this if you have any questions or need a referral. We serve pet owners in and around Chapel Hill, Durham, Carrboro and the greater Triangle and you can call us at (919) 942-6330 if you have any concerns about your pets and how they will react to an infant.